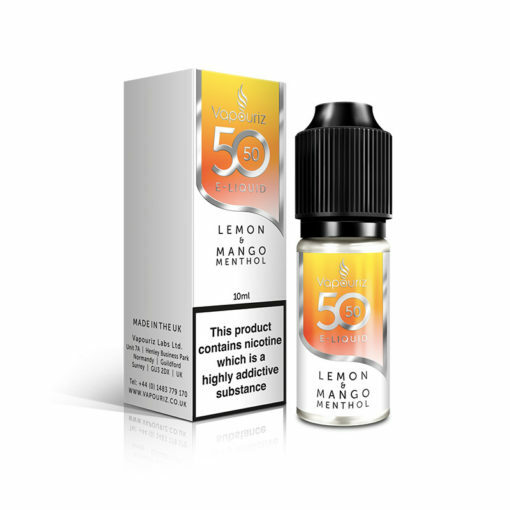 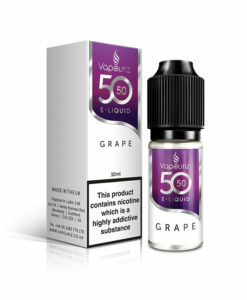 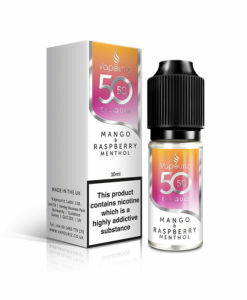 Lemon & Mango Menthol by Vapouriz 5050. This delicious tropical mango and zesty lemon e-liquid blend can be used in classic, sub ohm and crossover kits and is the perfect choice for anyone looking for a light, fresh vape. 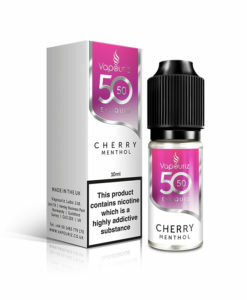 A subtle note of fresh menthol gives this vape a pleasantly refreshing kick and makes it the ideal antidote to a hot summers day.